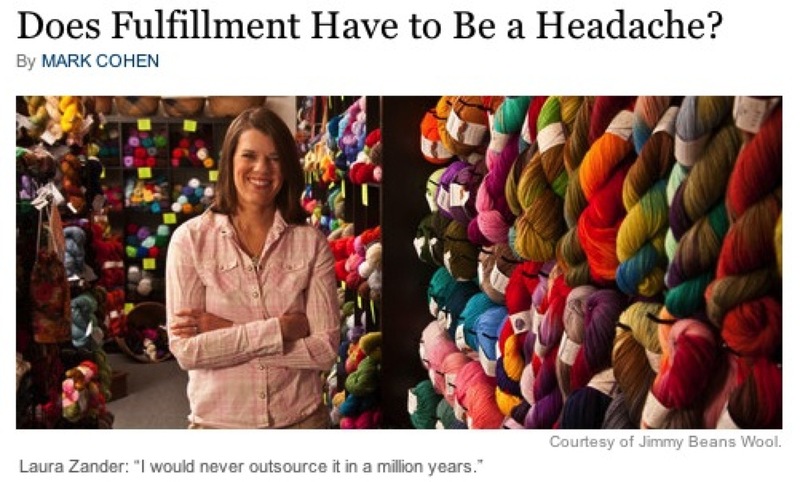 Does Fulfillment Have to Be a Headache? #makerbusiness « Adafruit Industries – Makers, hackers, artists, designers and engineers! Does Fulfillment Have to Be a Headache? @ NYTimes.com. When small businesses reach a certain volume in sales, they often consider outsourcing their fulfillment operations to what’s known as a third-party logistics provider, or “3PL,” meaning that someone else takes responsibility for the packing and shipping. In part, this is because it can take a lot of time and money to build a successful in-house operation, but Ms. Zander has no interest in doing anything of the sort. At Jimmy Beans, which sells knitting yarn online from its base in Reno, Nev., fulfillment is a critical part of the company’s customer-service operations. “I would never outsource it in a million years,” she said. I run Expat Audio in my spare time, between a very demanding job and a family with a two year old. The few hours I did have for EA were getting dedicated to shipping instead of new product development. I found the guys over at indieship.com and they now handle all my logistics. My life may never be the same again. Orders now ship within 24 hours, and I now focus those few hours a week I have on real stuff that only I can do. Seriously – if you have a small business, and your shipping is its eating into your time. It’s worth every penny.